Yi 360 VR is the first all-in-one 360 camera from Yi Technology, with the highest resolution for consumer 360 cameras at 5.7K. 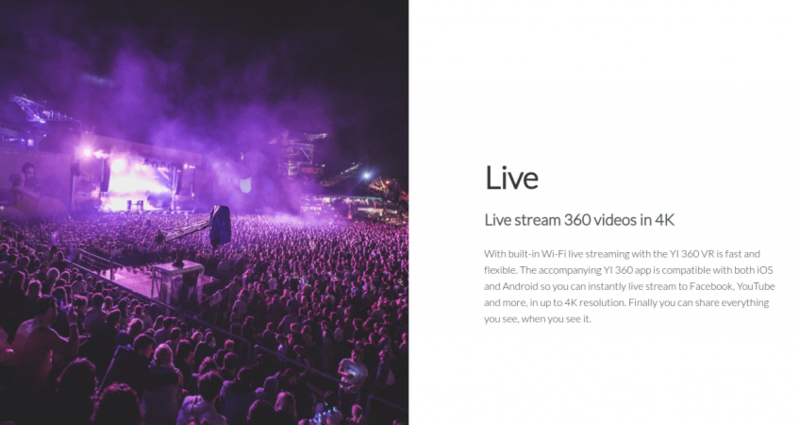 Their updated webpage shows that the live streaming has been upgraded to 4K. When Yi 360 VR was announced at NAB Show 2017, it offered three key specifications: 5.7K photos and videos (with desktop stitching), 4K in-camera stitched videos, and 2.5K streaming. However, the new page for the Yi 360 VR shows that its live streaming has been upgraded to 4K. 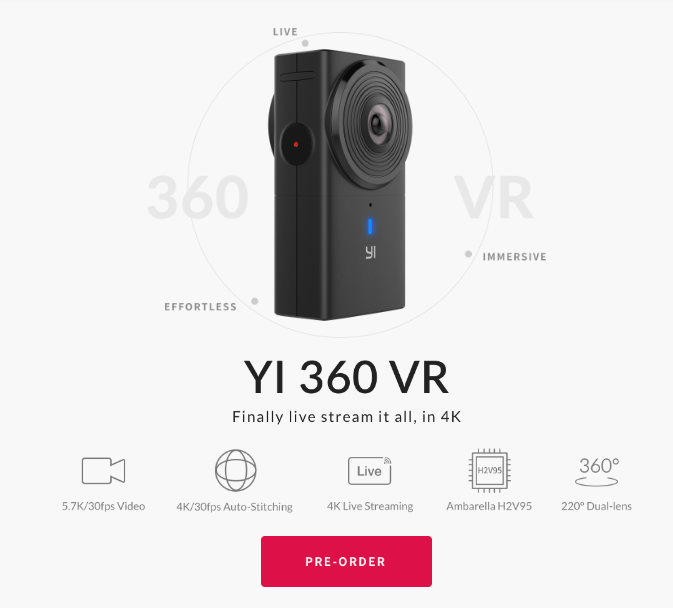 The Yi 360 VR’s new tagline is immersive (alluding to the high 5.7K resolution), live (because of the 4K live streaming), and effortless (with 4K in-camera stitching). The Yi 360 VR is still currently expected to be released in September for $399, half the price of the only other 360 camera touted as having 5.7K resolution — the Garmin Virb 360. 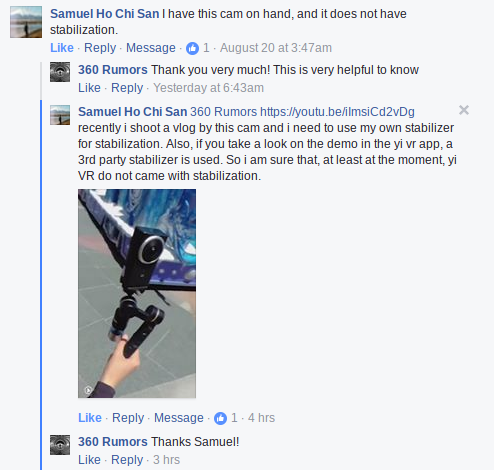 (Note: In the case of the Garmin Virb 360, the 5.7K resolution requires expensive third stitching software whereas the Yi 360 VR is expected to include the stitching software). Now glad I didn’t cancel. Can’t wait to get my hands on one! Thanks! We’ll see. It will be released in September. For 4k livestreaming it must use a powerful processor. Powerful enough to have in-camera stitching for the 5.7K? Hi Bill. Yes it has a powerful processor. In-camera stitching is up to 4K. For 5.7K, it needs desktop stitching. I’m guessing the real-time encoding codec must be .h265 to stream 4K 360 over wifi. What platforms support that as of now? Hi Jeff. I don’t know what platforms support H265 streaming but I’ve been able to stream 4K 360 using Insta360 Pro and Ion360 U, so don’t worry, YouTube and Facebook will probably be able to handle it. I’m wainting news from you, about this camera.